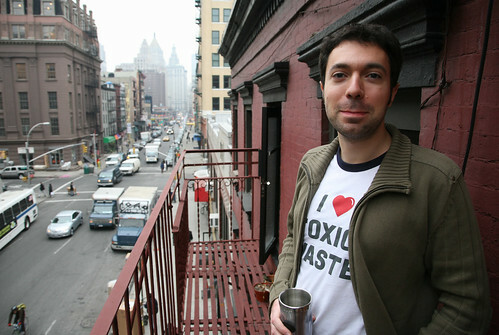 blip.tv is a really great, independent and community-based video sharing service located in New York City. Their focus is on video bloggers, especially those who post episodes in a series. There’s some excellent shows featured on blip.tv, including Weird America, Geek Entertainment TV, Make Magazine, JETSET, GALACTICAST, Alive In Baghdad, Minnesota Stories and Staring Amanda Congdon, just to name a few. 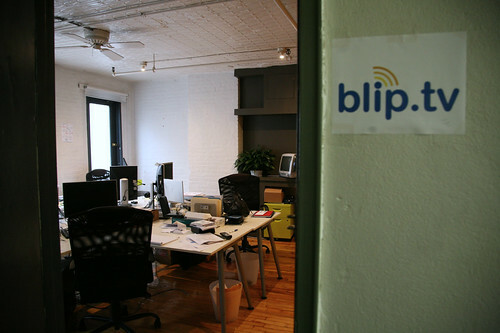 blip.tv’s offices are located in a converted loft in New York’s SOHO district. Last week when I was in town I made arrangements with blip.tv co-founder Mike Hudack to stop by last Friday and check out their offices. I hung out with the rest of the blip.tv gang and shot a few photos of my visit. We’ve got a great service for great shows. We believe that the world is fundamentally changing as it becomes easier and easier for individuals and small groups of people to create their own video. Our mission is to make this even easier by taking care of all the problems a budding videoblogger, podcaster or Internet TV producer would run into. We’ll take care of the servers, the software, the workflow, the advertising and the distribution. Your focus should be on creativity.